Mother’s Day is rapidly approaching, which means good spouses should get planning…now! There are many gifts to give your wife that will show her how much she means to your family. While diamonds may be a girl’s best friend, experiences are memories that last a lifetime. Luckily for your wife, Long Beach is home to hot spots that will create cherished memories and Instagrammable pictures. Here are the BEST hot spots in Long Beach to take your wife this Mother’s Day. Mothers are humans too. They also like to let loose. When you’re on a boat, there’s nothing to stop you from letting those inhibitions free. Does anything get a party started more than a yacht? Cruise around Newport Harbor with a tall glass of wine. Let loose and cut a rug with the onboard DJ and laugh along with emcee, K-Von. Lastly, take part in the one day Trunk Show featuring award-winning designer, Shy Creation. Shopping, booze, and music. What more can your wife ask for this Mother’s Day? Not all mothers are created the same…even if they’re all awesome. While some may enjoy partying on a yacht, others want to celebrate Mother’s Day with those who make it possible…their children. Schedule a Mommy & Me Mother’s Day Paint Party Brunch. Everything needed for mommy to enjoy a day with their loved ones will be provided. We’re talking the paint supplies, canvas…and a mimosa! Help her paint memories that will live forever by having her create it with those she loves most. Part of the monotony of marriage is getting into a rut. The key to growing together is doing new experiences together. This Mother’s Day, plan a marathon for the two of you to conquer together. Running a 5K is great because you can train together. In the end, you’re both accomplishing a goal that you can be proud about. Lastly, it’s in the name of Mother’s Day. Not only will you feel good physically, but internally as well. 15% of registration money goes to Vitamin Angels. This is an organization that provides vitamins to mothers and children in need. Do good and show your wife your softer side. Sign up for the 2019 Mother’s Day 5K in Pasadena! Almost everyone knows that spring and summer are the best times to buy a home. If you’re thinking about moving, you should spend the next few months looking for a house. It’s the biggest season for both home selling and buying. If you’re in Long Beach, California, there’s no better time to buy a house. As you begin your search, there are a few things you should do in preparation. This will help to ensure that you’re ready to get a new home. Then, everything will go smoothly. Take a look at these suggestions for preparing to buy a house this season! Start searching early: Right now, as the season is just beginning, you should start looking at the homes that are for sale. Get an idea of what you want and start testing the waters. Get out there before the other buyers do! Look at pricing trends in your area: Get familiar with the pricing of the homes in your area. You should be able to find historical sales and current sales to compare them. This will help you to separate the good deals from the not-so-good ones. Becoming familiar with pricing can really help when you’re in the thick of the search so you don’t waste any time. Decide if you’re really ready to move: Too often, people are on the fence about whether they really want to move or not. They may go back and forth. They may look at a few homes, discuss it, almost make an offer, and then back out last minute. It’s definitely a big change that shouldn’t be taken lightly. Before you start looking, figure out if you are actually going to commit. Get ready to buy: First, you should look for statistics on how long it takes the average home to sell in your area at this time of the year. This will allow you to see how urgent it may be for you to put in an offer. You typically won’t have a lot of time before somebody else swoops in to buy the house. There’s a high demand in the summer months. Figure out what you’re looking for: As you begin looking at homes for sale, decide what you’re looking for in a home. What’s important to you? Do you want a separate office space? Would you prefer a large kitchen or a spacious living room? Don’t get too invested in things that you can change, such as paint colors or flooring. When you know what you want, you will have a better chance of finding the perfect home. By following the guidelines mentioned, you can make sure that the process of buying a house goes well. This will help you to avoid running into any major issues. Plus, you’ll be able to get the home of your dreams in no time! Get started on your search so you don’t miss out. That special time of year is creeping up quickly – tax time. If you’re like most Americans, you’re likely not looking forward to filing your taxes. It can be an arduous process for some, even if you’re expecting a welcome return. There are ways, however, to make filing your taxes easier and less stress-inducing. Let’s take a look at what you can do to prepare to file your taxes. Why push filing to the April deadline when you can get the ball rolling early in the year? Gather any necessary documents you’ll need for your specific situation in January – or better yet, keep a separate folder for receipts, documents, letters or on your computer for digital files throughout the year. If you are also a business owner, make sure to keep up with your income and expenses regularly (and file quarterly). Use software programs like Expensify and Quickbooks to make this process even easier. Hop onto the IRS website to find out how to choose the best authorized preparer for you and your circumstances. Solidify your preparer early for the best chances in making the most out of your return and benefits for the rest of the year. While your preparer should be aware of the different tax law changes that apply each year, it is good practice to keep current yourself. This will help you maximize your return and potentially prepare for future benefits in the coming years. Are you taking advantage of potential deductions to increase you tax return? Consider any charitable donations, car/travel expenses, work-related items (including clothes, special products, or services required in your field), educational expenses, and any costs incurred from working from home. If you think you’ll need an extension, apply early and pay an estimated amount of what you may owe. The extension deadline gives you until October 15th to finalize your submission. To make the most of your return, put a plan in place before you receive the check. Savings is always a great option, but you can also request to have the return applied to future tax payments. Staying organized year-round and diligent about receipts and necessary documents will make filing your taxes smooth and easy every year. Start thinking about filing early in the year to avoid the April rush. Early and organized is the name of the game! The onset of spring can be one of the most exciting times of the year. We start to warm up and the promise of fun-filled, sunny days is right on the horizon. Spring also brings with it the perfect excuse to get on top of your spring cleaning. But now that you’re a homeowner, you may not be familiar with what jobs are best to do yourself, and which ones you should leave up to the professionals. Why don’t you lay back and let the experts take care of these four jobs? Do you suspect you have an issue with pests like cockroaches, mice, or other insects or rodents? It’s best to seek out professional help with these matters. There are definitely things you can do to help improve your situation: take out all food scraps, immediately remove any feces or dead pests you find, and keep your food refrigerated and empty the trash often. But to really deal with this problem head-on, call in the professionals. Any trees on your property that need clipping and maintenance deserve the care of a professional. With potential dangers such as power lines and heights, it’s best to rely on their help. Similarly, you might think yourself capable of climbing on the roof and clearing out your own gutters, but the risk and time is likely not worth your effort. The experts know their way around a roof and you can stay safely on solid ground. Painting can easily be done yourself, but you’ll spend lots of money on supplies and several hours or days of your life getting the job done. The professionals swoop in with all the necessities to do a fantastic job, and the project is done quickly and without any straining and headaches on your end. Even if you fancy yourself a do-it-yourselfer, electrical work is not the place to experiment or get crafty with. These repairs need to be done with extreme care or you could risk further damage to your home, yourself, or your family. Now that you know which tasks to pass on, you can focus on the jobs you can tackle at home. Cleaning, replacing fixtures, and de-cluttering are all ways that you can make a huge difference at home without risking your health or safety. For those other projects, look to respected, professional experts for hiring your electricians, pest removers, tree trimmers, and painters. The Best Buying Season is Near, Is Your House Ready to Sell? The time between April and August is well known as the top home-buying season of the whole year. Buyers are eager to find their dream home and make their move long before fall and the holidays set in. If you have been considering selling your home, now is the time to make sure it’s in tip top shape. Here are our tips on getting your home ready to sell! If you haven’t already gotten started with the beginning steps of selling your home, make this your top priority. Reach out to an agent and learn about the process and develop a timeline and plan of action. Get the ball rolling! Spring is the perfect time to freshen up your home before it hits the market. One of the best things you can do is declutter. Be ruthless – your home will be much more attractive to buyers with less stuff, and you’ll benefit from having less to move when the time comes. Start imaging how you want your home to look like for the ever-important photos. Brainstorm staging, lighting, and anything else you’d like to present with your home’s snapshot. Run your ideas over with your agent and do any prep work necessary. With the onset of spring, your gardens and yard may start to explode with springtime growth. Don’t let them get out of hand! 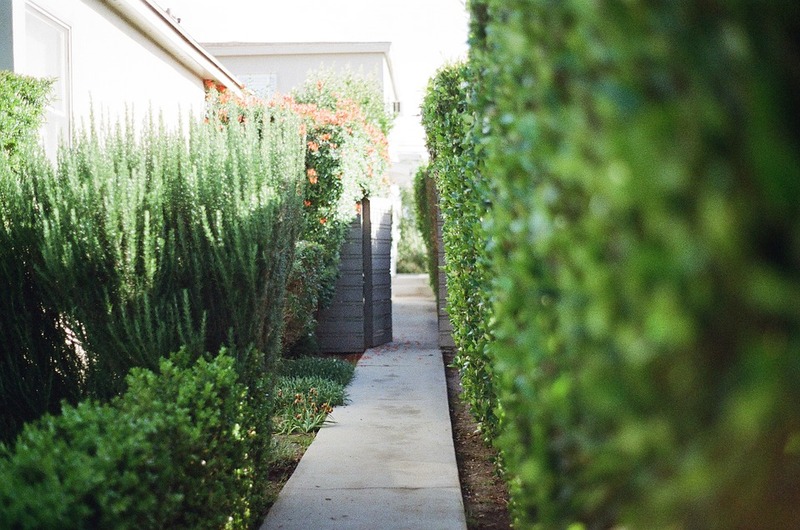 Keep your gardens, patio, and yard trim to give your home the best possible curb appeal. The beauty of spring often attracts buyers to homes, use it to your advantage! April through August is the ultimate time to list your house. The first step to reaching your goal is to be clear on what you can do to make the most of it. Now is the perfect time to get things in order before the best selling season of the year! The Best Holiday Light Displays Around! Southern California doesn’t have a prayer for a White Christmas, but it makes up for any possible lack of holiday cheer with amazing light displays all around the area. It’s a great tradition to pack up your family and friends, and head out for an evening of twinkly magic that you can see from your car or on foot. Here are some of the best places to visit – perfect for that holiday-themed Instagram story, or an awesome selfie for your cards this year. As seen on TV – really! – the Newport Harbor area lights up with decorated boats and some of the best viewing via The Newport Beach Christmas Boat Parade and a cruise along the harbor. There’s nothing like the sight of lights reflected on the water! There are multiple cruise departures, and they last anywhere from 60-90 minutes. Take a stroll along the street and you’ll see some of the most amazing window displays – and the people-watching isn’t bad either! The Regent Beverly Wilshire offers decorated grounds and some special tea events for adults and kids throughout the holiday. Head over to Griffith Park and discover the hidden gem of the Holiday Train. It follows over a mile of track, and spins riders past a whole series of holiday scenes and tens of thousands of lights. The kiddos will love it – and you’ll enjoy a chance to sit down. The Holiday Train runs after Thanksgiving, from 5 pm nightly. Located in La Canada, The Decanso Gardens “Enchanted: Forest of Light” spectacular is an immersive experience that sends visitors along a mile-long path of lights and gardens. It runs all the way through January 6, and has a ticket package that includes dinner at their Maple Restaurant. Finally, don’t miss the experience of driving through along Christmas Tree Lane in Altadena. The streets have been lit up every year since 1920, making it one of the oldest traditions in the US, as far as holiday displays. Turn off your lights, and enjoy the ride! There are many more holiday light displays throughout the area – one of them is perfect for your budget, schedule, and type of group attending. Enjoy! As much as we all love the great year-round weather in southern California, it can sometimes not feel like winter during the holiday season. We kind of go about our everyday lives like usual and forget to get swept away in all the winter cheer. Luckily, SoCal isn’t too far removed from all the wintery action. You want to have a winter wonderland this holiday season? Check out these long weekends outside of LA. Everything you need for snow sports is available at Lake Tahoe. This Sierra Nevada location hosts sledding, snowshoeing, ice skating, and snowmobiling. Of course, it also has some of the best backcountry ski trails in all of the west coast. During the winter season, kids will have a great time being pulled by a pony in a sleigh. Lake Tahoe is an excellent vacay for all ages during the winter months! Snuggle up with your family in a cozy cabin at Big Bear! Relax with their year-long fishing season or take it to the slopes for an out-of-this-world ski experience. Events are happening almost every day during the winter season at Big Bear. Visit with Santa and Mrs. Claus, go through cave mazes, and embark on snowshoe eco-tours. Big Bear has all the variety in the world you need for a memorable long weekend outside of LA. Have little ones in tow and want to get some ski-time in? Head three-hours from Vegas and end up Brian Head, Utah. This is a very small, family-friendly ski town that boasts some of the best snow in the state. We highly recommend this for the kiddos because they have many learning programs at Brian Head. Newbies are taken to the mountain and guided by instructors until they are comfortable on their own. One perk of Brian Head is they even have night ski sessions for advanced riders! While in Brian Head, head over to the National Park. This time of the year, Bryce Canyon and Zion are bright red canyons with a white dusting. It’s a once in a lifetime photo-op! Speaking of National Parks, we’d be remiss not to be mention Yosemite. You can partake in all the snow sports adventures you want here. However, the sights are worth the trip alone. You will be in awe of the breath-taking snow-capped mountains and precious wildlife still burgeoning during this colder season. It’s a great experience to behold, especially in the winter months. Most people will tell you that the holidays are the perfectly wrong time to sell your home. However, there can be some major advantages to having your house listed during the fall and winter holidays. Many that are selling their home will have taken it off the market until after the New Year and into the spring. This could be an opportunity to have your home highlighted, rather than being lost in a list of homes for sale. Buyers looking during the holiday season are often thought to be more serious than those browsing in the spring or summer months. Take advantage of this opportunity! Here are some ideas to use the fall and winter holidays to sell your home. The holiday season typically means festive décor is strewn about the house. 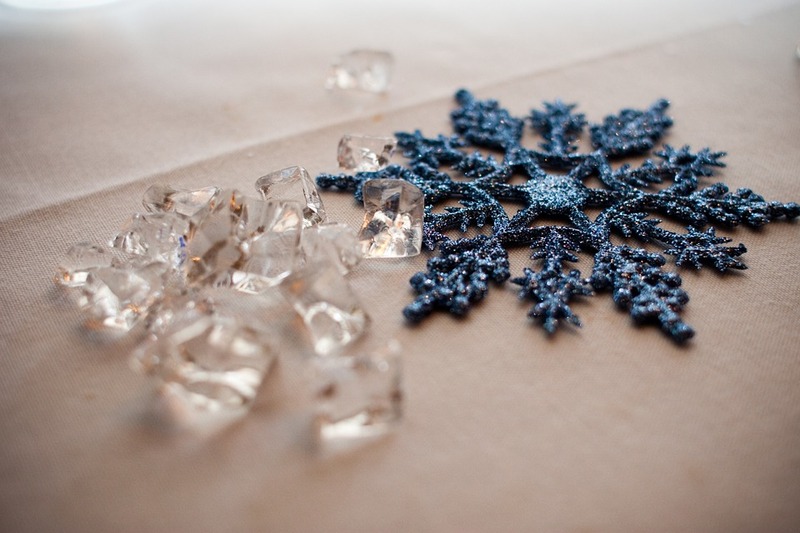 It is perfectly acceptable to use holiday decorations to make your home more charming! 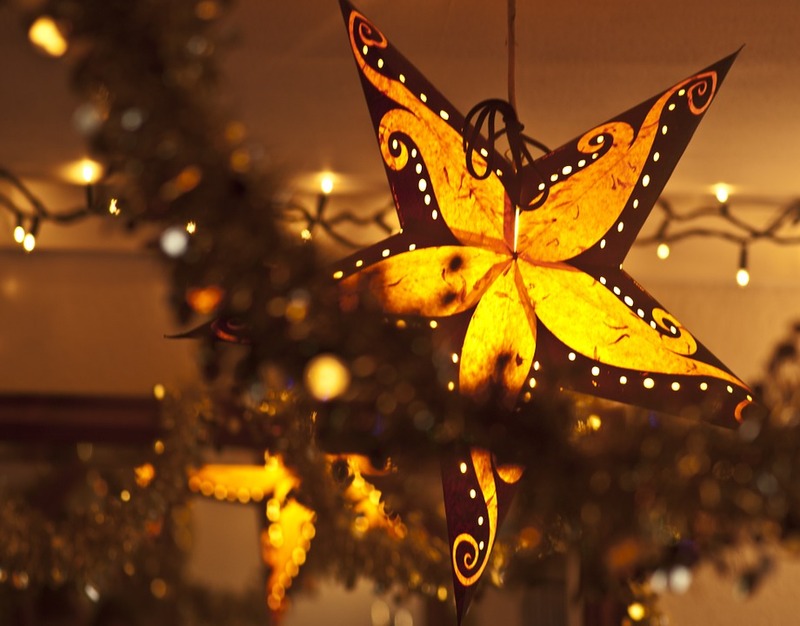 Use classy holiday decorations that are not specific to any religion – you do not want to turn buyers off. Keep it simplistic, as too many Santa statues can make your home look crowded. 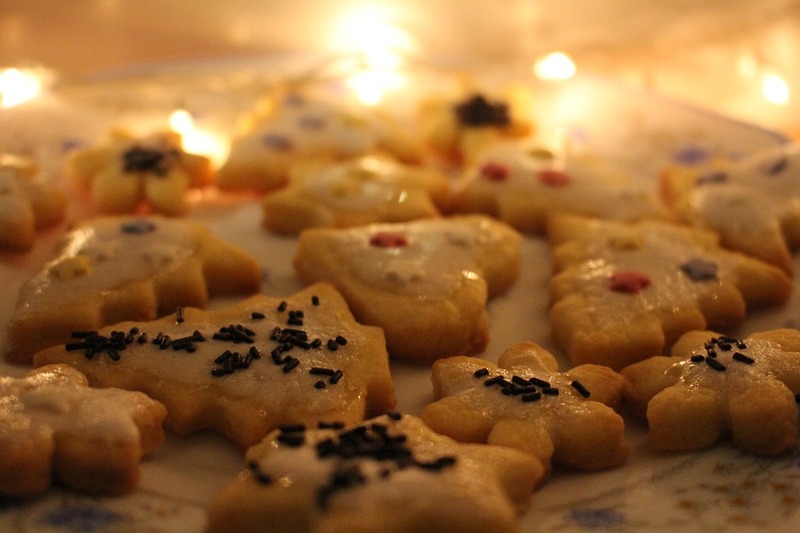 There is no home more inviting than one that smells like freshly baked holiday cookies. 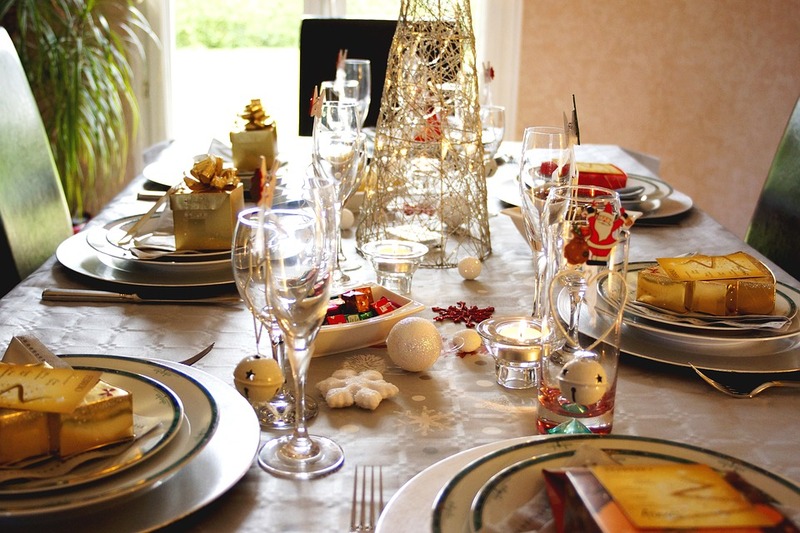 Use all the holiday smells to your advantage to make prospective buyers feel at home as soon as they walk in the door. In addition to any holiday lighting you choose, ensure all your bulbs are new throughout your home. The fall and winter holidays occur during a time of year that is darker than the spring and summer months. Make sure your home is bright inside and out. While landscaping and yard work have taken a hiatus for the year in most places, selling your home in the winter months requires you to be attentive to your curb appeal. In bad weather, ensure all your walks and driveways are clear. If you have issues with mud or ponding water, find landscaping ideas to deal with those. The holiday season is a less traditional home selling time of year. It can be daunting as it may take longer to sell your home during these periods. However, it is possible to take advantage of the quiet selling market and make your home truly stand out. Every house provides a lifetime of happy memories for kids that will follow them into adulthood. There will come a time where each child leaves the nest. At first, you may want to hold onto the house your little ones grew up in. What if they fall hard on the bottom and need a place to crash? And besides, this house has all of your happy memories too! However, there will be a point where the house becomes too much to handle. Downsizing might seem daunting or pointless right now. Just keep an open mind as we try to help you look at the pros of cutting back. Here’s how and why you should start thinking about downsizing. Getting older is not fun. Therefore, you need to have fun as you get older. Upkeeping a house that was meant to serve an army will serve you (and your spouse) no good as it starts to fall apart. Let’s face it. The best years of the house have already happened. Now comes the repairs you never thought your house will need. Upkeeping your house can be costly. Trying to make your way to retirement and enjoying the fruits of your labor doesn’t typically include reno projects. Get out before the house gives out. Also, you want to leave your large house before you can’t. Nobody wants to live in a big area where you can’t reach the kitchen promptly or the bathroom is up a flight of stairs you can’t ascend. Start thinking about how the conveniences in your life will become inconvenient. Then come up with a plan to find a place that can accommodate your needs. Downsizing is a monumental decision. It’s one that should never be taken lightly. Therefore, take as much time as you need. However, there are a few things you can do to get the ball rolling. For every new item you bring into the house, chuck one out. When you are finally ready to sell, you are going to have to get rid of so much stuff. There’s going to be your belongings, your spouse’s, your children’s, and anyone who’ve you inherited from. That’s a lot! If you know there’s no monetary value to an item that you no longer feel a nostalgic pull toward, then get rid of it now. That warm feeling will most likely not return and you have a bunch of other items that will fill that void. Bring in appraisers if you are unsure of the value of anything. If they don’t purchase your unwanted costume jewelry or fine China set, have a tag sale. There’s nothing more rewarding than getting compensated for items that once brought you happiness. Now they’re going to enrich the lives of others. Lastly, if you are curious about downsizing, talk to those who have. You’ll be hard-pressed to find someone who didn’t find it a cathartic process. Then, give it a try yourself! If you are planning a visit to a wildlife attraction in Los Angeles or Orange County you will not have a hard time finding the perfect place based on your desires. There is a large assortment of wildlife attractions in both areas and they all come with unique experiences and advantages. Any attraction that you choose will offer the right packages and experiences for you and whoever you are taking with you. Each and every one of these spots is also suitable for both adults and kids. Planning a trip can be overwhelming because you have to consider all the factors that might affect the outcome of your day. This is why we have compiled some of the best attractions in these cities to help you decide where to go for your visit. The Zoomars petting zoo offers a fun-filled adventure for adults and children alike. Patrons get a chance to interact with all the animals including the llamas. There are also gold mines and little trains to ride on and this makes for the ultimate fun experience. The zoo accommodates parties for its visitors and there are many exciting events held throughout the year that kids will absolutely enjoy. This educational establishment teaches visitors about life in the ocean among other things about the environment. This educational experience is done in a fun way so it is suitable for kids, since they will be engaged and thus will fully grasp the information. Parents are usually welcomed to take their kids so that they may develop a love for the sciences from a very tender age. The Reptile zoo is completely dedicated to exposing visitors to and teaching them about a wide range of reptiles. Kids and adults are able to look at and interact with the animals. They may feed them, touch them etc. visitors are guaranteed to have a fun time as there is so much for them to see and do. When you visit The Orange county zoo, you will be overwhelmed with the many activities that you can take part in. This is a family adventure where the family can view many animals of all types, shapes and sizes. There is much more to do other than viewing animals such as boat and bike rides and riding ponies. This aquarium displays the lively sea living within the region of south California. The aquarium displays a wide range of marine animals and their livelihood to its visitors. This is the perfect place for families and school trips. Young children are sure to be fascinated by the display of the aquarium. The Los Angeles Zoo and Botanical Gardens has thousands of organisms of all types including endangered species that are rarely seen in attractions of this kind. The botanical gardens display innumerable plants. One visit will take hours because there is so much to learn about and so many things to take in. Los Angeles and Orange County together have some of the most exciting wildlife experiences in the country. There are so many to choose from, all offering exciting and educational experiences for visitors. You may even to schedule multiple trips so that you can get to experience more than one of these attractions. There is nothing better than learning about the environment in a fun and engaging way.